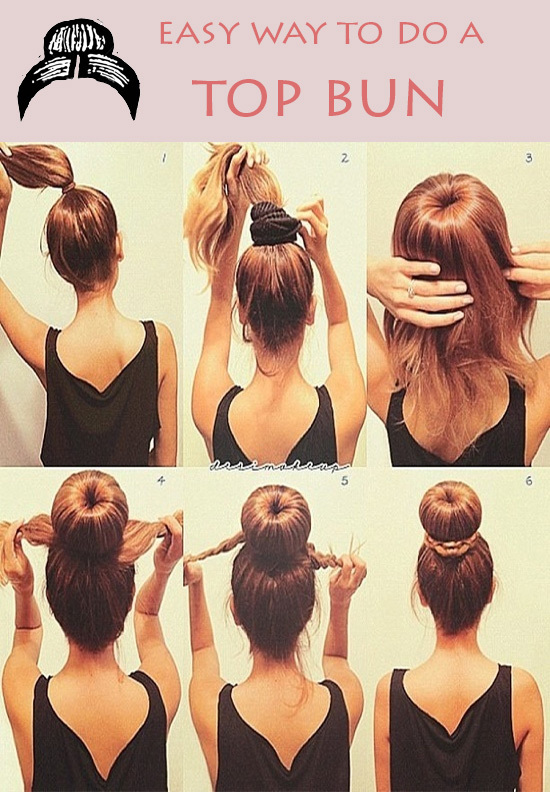 Here’s an easy way to put your hair up in this summertime heat! Wrap the ponytail hair around the hair tie and secure pieces with bobby pins. Loosen and twist side pieces to wrap around base of bun, and again secure with bobby pins, Done!